Thank you for your interest in Sponsoring A Page on eGolfDirectory.com! Any State Page - Only $95.00 a year! That's right! Only $95/year! That's less than $8 a month! It's first-come-first-served so visit the state page you would like to sponsor... if you see the sponsor this page ad on the left side of the page, - just like it shows on this page - then that page is available! Hurry back here to this page to grab your page! Here Is The Best News! As our way of saying thank you for your support and for being the first company to sponsor a state page with us, YOUR RATE WILL ALWAYS BE WHAT YOU SIGNED-UP FOR! Even 10 years from now you will pay the same rate that you signed-up for today.... So in this case - Only $95 a year! Even if our rates do go up, and they probably will come next year, each year you will have the choice to renew your ad or cancel your ad.. it's totally up to you! If you renew, you will pay the same rate, if you cancel, you will owe nothing more... however, just remember if you do cancel your ad next year, and then a few months later decide to run it again, you will have to pay our current pricing at that time. We will run your 200W X 200H image with a direct link to your website! Need an Ad? Well guess what! As a special service just for Golf Company friends, our editor, Joey O'Connor, thru his pr/marketing/media avenues on Joey O'Connor Enterprises, will MAKE A FREE AD FOR YOU! Once you complete the submission process below, he will make a 200x200 image ad for you to use with us here on eGolfDirectory.com! Ready To Sponsor A State Page? All you need to do is email our editor and owner Joey O'Connor at editor@eGolfDirectory.com and let him know the state page that you would like to sponsor - along with - your company information, name, address, phone number, website address, etc., and he will shoot you back over an invoice asap! It's that simple! list your name, address, city, state, zip, phone, and website link! Search for More Golf on Google! Go Ahead.. We don't care one bit! Copyright &COPY 2007 - e Golf Directory, eGolfDirectory.com its' owners, partners, and licensors. All Rights Reserved. A Golf Directory and Online Golf Directory. 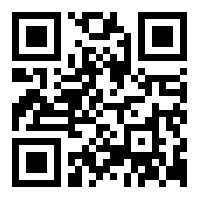 Scan For eGolfDirectory's New Mobile Site!